This all-in-one travel jacket also dubbed as the Swiss army knife of travel wear has 15 features designed to reduce the frustrations of air travel, including a built-in inflatable neck pillow, earphone holders, hand-warming pockets, gloves, passport pocket, and an eye mask, just to name a few. It was designed by a husband and wife team after the wife became frustrated that her frequent-flier, roboticist husband would buy a new neck pillow every time he went to the airport. Yoganshi and Hiral tied the knot in 2013 and before their first anniversary Hiral had to move to Chicago for his MBA. This started a series of frequent flights between Chicago and San Francisco to help with their long distance relationship. You may know that flights from Chicago to San Francisco are up to 8hrs long (including lay overs). Every time Hiral traveled to the west coast, he would try to catch up on sleep and carry a bulky neck pillow, and if he forgot his pillow (which he always would), he ended up buying a $25 pillow at the airport. 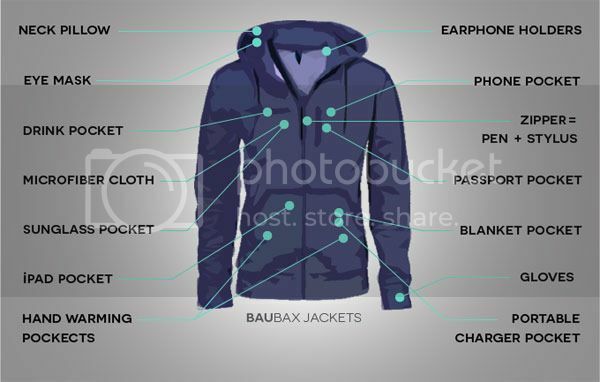 This laid the foundation for the idea of solving all travel related problems with one jacket - designed with everything a traveler wants and needs. The campaign run from July 7 till Sept. 3. With 34 hours to go, this travel jacket has already raised over $7,930,764 from 39,700 backers. 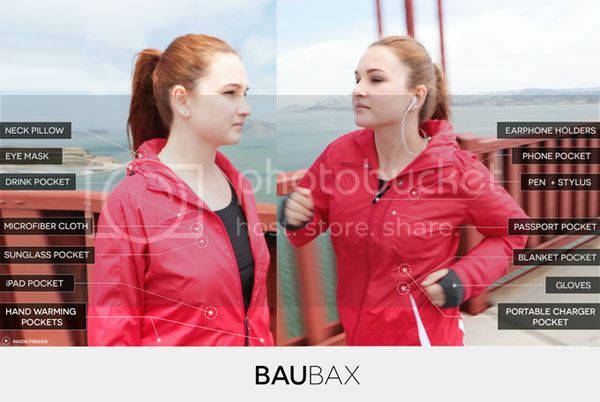 The travel jacket, which comes in four different iterations (sweatshirt, blazer, windbreaker or bomber) for men & women, starts at $119 on pre-order through the Kickstarter campaign.